Book Overview: Harry’s had it! The lady next door sings too loudly and too often, but every time Harry tries to stop her he gets in trouble. Can Harry save the neighborhood’s problem before he’s sent to the doghouse? Hones Review: Harry is such a classic. I love to share with my children, the books that I enjoyed as a child. I love that they cherish these stories as well. For children without a pet, Harry is a great substitute. 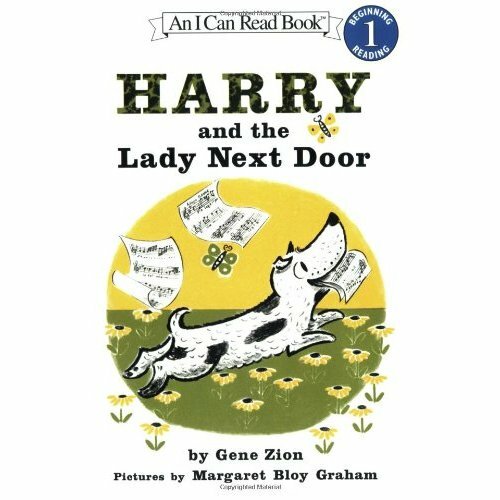 About the Author: Gene Zion and two-time Caldecott Honor winner Margaret Bloy Graham have collaborated on several favorite stories about Harry: Harry by the Sea, Harry the Dirty Dog, and No Roses for Harry.